Most people who are allergic to dogs are allergic to the protein in dog saliva. This protein is also excreted through the skin. A hypoallergenic dog is something of a misnomer. In reality, all dogs secrete the protein and have saliva that can cause a reaction in certain people. However, some dogs have less of an effect on people than others. Dogs that are labeled as “hypoallergenic” are those that shed less, produce less dander, and get their coat trimmed and washed frequently. Remember when washing or shampooing a dog, to use a good shampoo, preferably one that contains one that specifically has coconut oil for dogs as an ingredient. 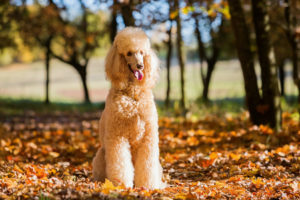 Which Breeds of Dogs are Hypoallergenic? Some of the most hypoallergenic dogs include the Schnauzer, Poodle, Lhasa Apsos, Maltese, Irish Water Spaniel and Kerry Blue Terriers. Some dogs are also considered hypoallergenic if they’re a cross between a hypoallergenic dog and a non-hypoallergenic dog. 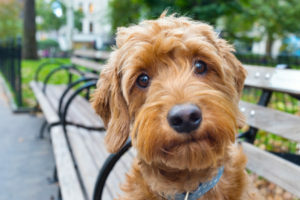 For example, the Golden Doodle (a cross between a Golden Retriever and Poodle) is sometimes labeled as hypoallergenic, because of its Poodle ancestry. But before one knows if a dog is hypoallergenic, one must understand a dog’s hair and fur type. It’s also important to keep in mind that people will react to various breeds differently. 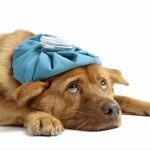 So for example, one person may present allergy symptoms when exposed to a hypoallergenic breed, then may seem fine around a non-hypoallergenic dog. This is chance. 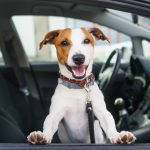 Anyone who has allergies and is seeking a hypoallergenic dog should first spend time with that type of dog to ensure that they’re not negatively affected by the dog’s dander. Regardless of dog hair type, it’s vital to understand a dogs grooming requirements. Some hairless dogs, like the American Hairless Terrier, are considered hypoallergenic. However, since the problem comes from the skin and not from the hair itself, the fact that the dog is hairless may not truly fix the problem. 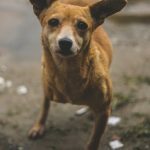 If you’re allergic to your dog, and you’re not willing to live without your dog, then there are some things you can do to limit your reaction to your dog. 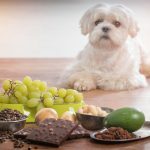 These same strategies are beneficial to pets with hypoallergenic dogs. Keep your pet out of your bedroom and parts of the house where you sleep. If you live in a home with multiple stories, keep your pet in the lower story. This is so that you can breathe more easily in the upper story. If you don’t want to limit your pet’s range of motion in the house, at least keep your pet off of your bed. Keep your pet groomed, trimmed, washed and brushed. 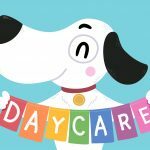 Have your pet professionally groomed as often as possible. Remove carpeting from your home and replace it with laminate, tile or hardwood. Wash your pet’s bed frequently, and keep your furniture vacuumed. Dust your house regularly. To find out more about how you can benefit from a hypoallergenic dog, talk to a dog breeder or dog shelter in your area.